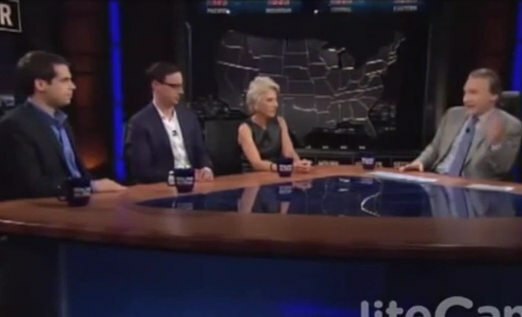 Bill Maher, Jane Harman, Jamie Weinstein and Charles Krauthammer agree. Somebody has to be at fault, and it can’t possibly be the Israelis. “Liberal” Maher faults “the rest of the world” and even the “Palestinian civilians who are dying”. He describes the Israelis as “the victim of the soft bigotry of high expectations”. Their enemies, in contrast, he expects to just get over being expelled. “Conservative” Krauthammer understands how these sneaky Palestinians think, playing up their weakness and exaggerating their suffering, counting on the “near-total historical ignorance and reflexive sympathy” of others. Krauthammer, after all, is one of the foremost experts in such matters. “Liberal” Harman is a dimmer Maher. She agrees with Krauthammer. She advocates secure borders for Israelis, because she wishes them to have peace. She advocates exactly the opposite for Americans, no doubt because she doesn’t wish for us to have peace. “Conservative” Weinstein is a dimmer Krauthammer. He too knows how these Palestinians think. All he thinks anyone needs to know is that they’re anti-jew. Never mind why. Another jew. Same opinion. Caller Learns It’s a Very Bad Idea to Call Howard Stern and Bash Israel: ‘F*** Off!’ | TheBlaze.com: “Israel’s at no fault”, “If you’re anti-Israel, then you’re anti-America”. If the jews could move to Mars they would. They get it. Nobody wants jews. Nobody likes the jews. And it’s the same with black people. You know, people in this country, screaming about the black people. Well guess what, you brought the black people here, and you wrap them up in chains, and that’s why they’re here. Deal with it. Presumably this is the same Jane Harman caught on tape offering to pressure the Justice Department to go soft on the AIPAC spies? I’d have expected even Maher to have more class than to pretend she’s credible. Here’s an exception that proves the rule. Is Jon Stewart a Self-Hating Jew? I Asked The ‘Daily Show’ Host, and Here’s What He Told Me | Bustle. LOL, jews and their euphemisms. “Self-hating jew” is what one jew calls another jew he hates. It means “race traitor”. In this case jews like Mark Levin and David Horovitz are angry because Leibowitz mildly and ambiguously mocked the Israeli offensive in Gaza instead of clearly and hysterically screeching support for Israel like all the other jew “comedians” are doing. Indeed. The name game is just one facet of a broader pattern of jewish deception. If someone calls even an individual jew out the jews respond as if they’re the ones being wronged, collectively. Like last year, when Leibowitz called Donald Trump “Fuckface Von Clownstick” and Trump responded by calling him Leibowitz. Even jews who hadn’t changed names started whining about Trump’s “anti-semitism”. Levin’s main point is that Leibowitz isn’t funny. The funny thing about that is that Leibowitz is one of the few jews even attempting to stay in character amongst the stupid goyim, playing his part as “comedian”. The fact that Leibowitz is slick enough to make the stupid goyim laugh about Israel is what makes Levin furious. Tan – Steve Sailer had a link to a survey the other day. Jews report the least self-hatred of any religious group surveyed. Of course that runs into the good old jewsih two step – who is jewish? religious/not religious. It’s the moral equivalence which is so devastating. If you won’t let jews tell you what’s right and wrong you’re anti-jew! Yet it is Israel which is said to be ‘out of control’, guilty of indiscriminate slaughter and even — as ludicrous as it is obscene — ‘genocide’. Those who demonise Israel in this way should realise just what they are supporting. Palestinian society, both through Hamas and Mahmoud Abbas’s Fatah (whose military wing has also been firing rockets from Gaza), brainwashes its children that glory lies in killing Jews. It routinely pumps out Judeophobic incitement straight from the Nazi playbook. A few days ago, Yahya Rabah, a member of the Fatah Leadership Committee in Gaza, recycled the medieval blood libel when he wrote in Al-Hayat al-Jadida that the Jews offer sacrifices during Passover ‘made from the blood of our children’. Every western supporter of the Palestinian war against Israel is also tacitly supporting such anti-Jewish derangement. This psychotic bigotry is the true driver of that war, as well as the Islamist war against the West. Yet astoundingly it is never, ever mentioned. The intractable problem of Gaza has been exacerbated by the meddling incomprehension of a western world that just doesn’t grasp how Islamist fanatics play by entirely different rules. According to hyper-jews like Phillips anyone who won’t concede the moral high ground to the jews is “deranged” and “psychotic”. Yet jews are the ones who act as if they are playing by entirely different rules – rules which set them and their concerns over and above everyone else. And Bibi’s brain blames the press. How many more US citizens will become Israeli government officials? … because the State of Israel mandates it…[not the other way around]. We all know that each and every opinion the jew promotes is only what is good for the jew. 4 jews seemingly talking about different opinions and nonsense, they all play word games. But the result is always, is it good for us jews. The jews who own Hollywood just happen to be jews, but the people who work for them hate every jew just by nature. This is what jews really think. While many outside Israel question if Israel’s offensive in Gaza is proportional to the threat, it’s hard to find any hand-wringing in Jerusalem or Tel Aviv. Israelis are famously disputatious people. Though fights over politics or religion are features of almost every country, in Israel debate is taken to an art-form, part a result of Jewish tradition of questioning and argument, part stemming from the heated debates over what exactly Israel should stand for since it’s founding. Jews are famously argumentative/disputatious when it comes to answering “what’s best for the jews”. They are famously in agreement on the question.